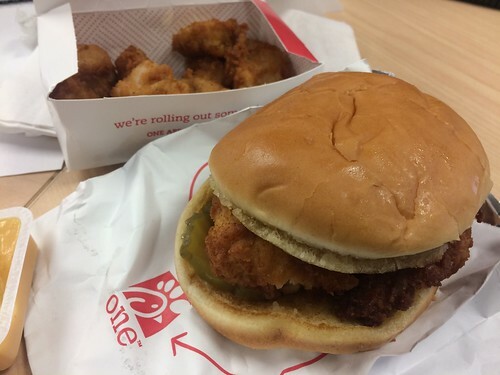 Despite a few delays with the opening, and causing some neighborhood traffic snarls (we’ll see how that plays out), your new DC Chick-fil-A has brought its delicious chicken sandwiches to Capitol Hill. Go check it out, especially if you’ve never tried their signature sandwich. I got a card for a free breakfast biscuit sandwich, so I’m pleased to go back to try their biscuits for the first time. The rumors are true, there are no actual windows, just those required for the drive-thru and the walk-up. It’s good to see a Chick-fil-A so close to where I live. I know there are people who boycott the franchise due to the owner’s public statements and beliefs, and that’s fine if that stance is important to you, but ultimately it’s just chicken. And if we’re being honest with ourselves, how often do we take the time to check into the religious or political views of the full range of businesses we frequent or consider frequenting?